. It makes the garland feel even more like Christmas! 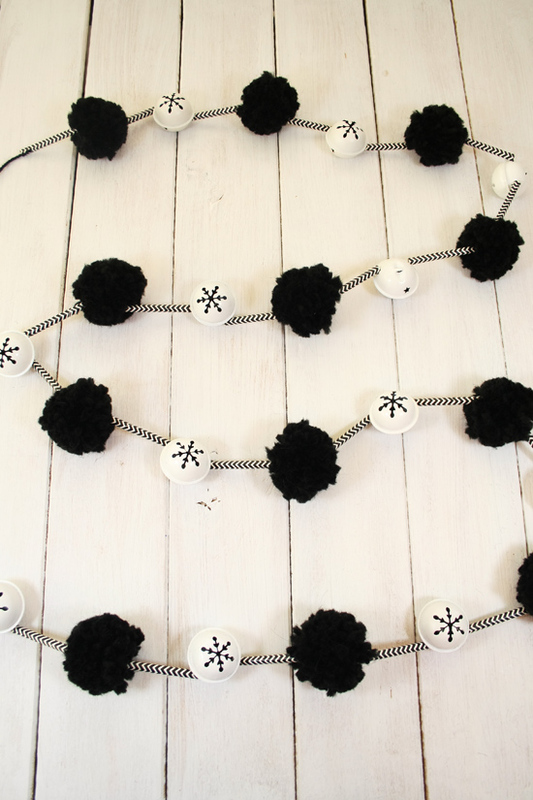 Today I have a super fun DIY project for you: Christmas tea lights with a plaid pattern. The nice thing about this tea lights is that if you don’t like the pattern anymore, you can change them very easily. The tea lights are painted with acrylic paint, so you can wash off the paint if you want to. If you want a more permanent option, use ceramic paint that you can bake in the oven at a low temperature. The disadvantage of the latter option is that this type of paint dries much faster, making the plaid effect harder to achieve. 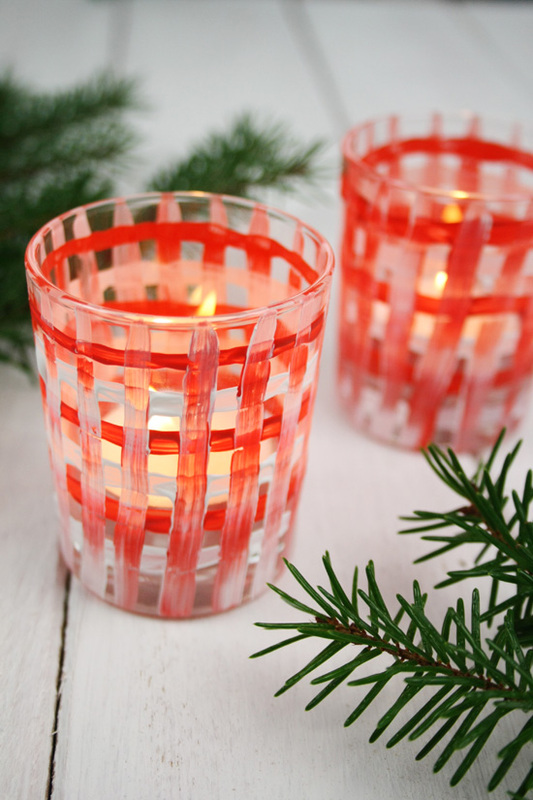 Read on to see how you make this Christmas tea lights with plaid pattern. . .